Oldham and Rochdale languish at the bottom of the GM table for businesses in the UK’s largest industry group. The largest industry group in 2015 is professional, scientific & technical, with 17.8% of all registered UK businesses compared with 17.3% in 2014. 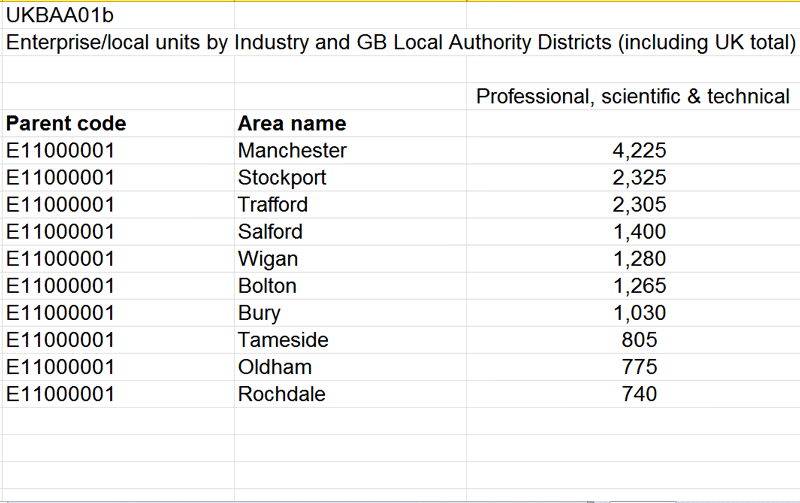 Eight of the ten Greater Manchester local authority areas have more professional, scientific & technical businesses than Oldham which only beats Rochdale which languishes at the bottom of the Greater Manchester table. Professional, Scientific & Tecnical Businesses.